EventHi- WebJoint x Alt Thirty Six Present: Summer Series Pool Party! WebJoint x Alt Thirty Six Present: Summer Series Pool Party! 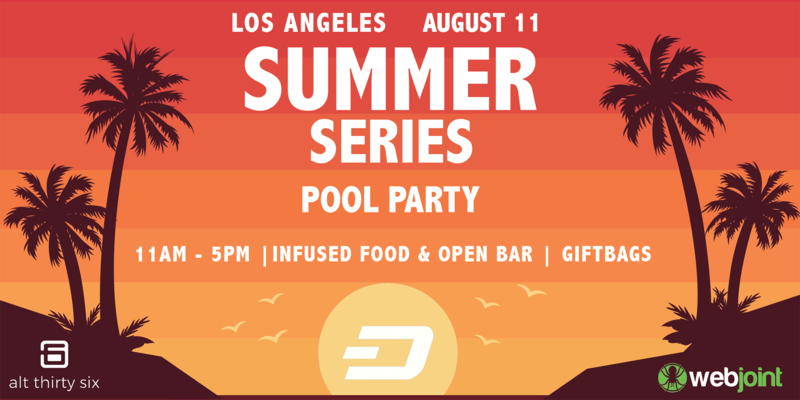 Join WebJoint and the alt thirty six team poolside as we celebrate our new partnership to bring digital payment solutions to the California Cannabis Industry! We're also going to have some of your favorite local brands showcasing their products at our event! We're going to have an open bar, consumption, and infused/non-infused food!